What is West Coyote Hills ? Why Save West Coyote Hills ? What Will it Be Saved As ? How Can It Be Saved ? Q1: What's the difference between the green 'Open Coyote Hills' and the yellow 'Save Coyote Hills' signs? The Friends of Coyote Hills is definitely not behind the green "Open Coyote Hills" signs. Those signs and the web site being promoted by the signs are the work of a small group of Fullerton residents in favor of the Chevron development. Those signs should really read "Open Coyote Hills for Development". Make no mistake. There is only one volunteer group working to save all of West Coyote Hills for a park for all the community to enjoy, and it is not the oil company and their affiliates. The Friends of Coyote Hills have staked those familiar yellow and black "Save Coyote Hills" signs around our community for almost 10 years. Our message has been consistent: save all of West Coyote Hills for a park and preserve for now and the future. Q2: Doesn't Chevron have property rights to do what they want? Like any other property owner, Chevron may use its property within its zoning designation which is currently oil and gas. The City of Fullerton is not obliged to re-zone the property to residential especially if the applicant does not put forth a good plan. The Friends of Coyote Hills advocates protection of West Coyote Hills through acquisition, that is, purchasing the land from Chevron. Recently, Chevron was offered consideration for funding by the Orange County Measure M2 Environmental Mitigation program, but they declined. One other important note here is that this property is a designated "critical habitat" for the federally listed (threatened) California Gnatcatcher. Under Section 7 of the Endangered Species Act, property owners are prohibited " ... from engaging in unauthorized activities that will harm listed wildlife". Scraping and grading the property for development would harm these endangered birds. Q3: Chevron says they will keep half of the West Coyote Hills as open space. Isn't that good enough? No for a number of reasons. First let's put this in perspective. This is the last remaining natural open space in this region. Take a look at this photo and tell us that paving over half of this is OK? What 510 acres that remain is already a speck in a very dense urbanized region. Chevron's development plan will add more than 9,000 car-trips a day to our already congested streets. It doesn't matter whether they set aside 1, 10, or 280 acres undeveloped. The traffic consequence is the same... terrible. Let's quantify that. Assume that adding 9,000 more car-trips to our streets and freeways add 5-10 minutes to your daily commute each way. That's adds an extra 43 to 86 hours of being stuck in traffic every year! West Coyote Hills is one of the last natural open space remaining in the lower San Gabriel River watershed. Natural open space areas enhance the quality of our water by providing natural filtration of water that percolate through the ground to our wells. In a 2007 study by the US Army Corps of Engineers, County of Orange and County of Los Angeles, "West Coyote Hills Open Space & Robert E. Ward Nature Preserve (without development)" was cited as "highly suitable areas for general habitat preservation and restoration ... quality habitats, with contiguous open space". Note their words "without development". West Coyote Hills is a critical habitat to the endangered California Gnatcatcher. 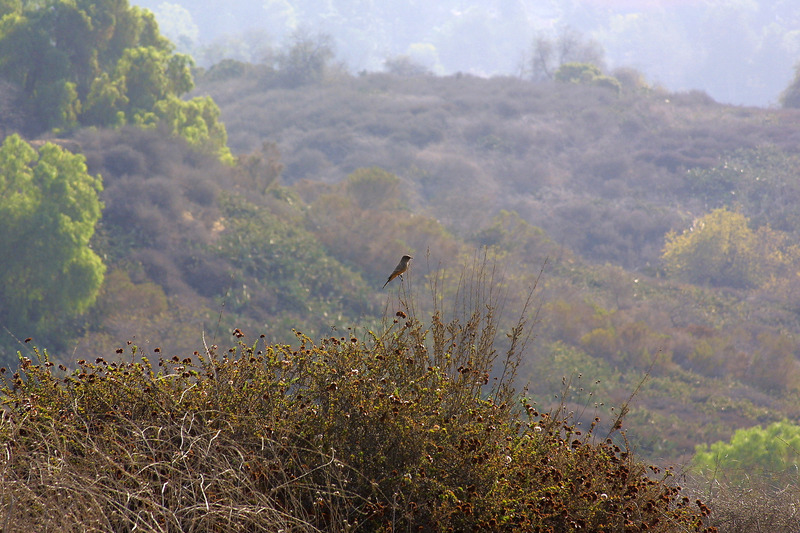 In fact, did you know that this property hosts one of the largest population of these birds in Southern California? This is a distinction that is right in our own backyard and we need to be good stewards of this precious resource. Chevron's plan will fragment the habitat into little pieces and add miles of urban edge to what habitat remains, making it difficult if not impossible to sustain this rich ecosystem. Scott Thomas of the local Audubon Society has said that anything less than the 500 acres remaining in West Coyote Hills will not be sufficient to support the gnatcatchers. Q4: Chevron says they are going to create a nature center in addition to 8 miles of trails. Isn't that a good deal? No. While the concessions they are making to appease certain special interest groups appear to be generous, think of the long term effects their proposed development will have on this community (please see the response above): traffic, pollution, water quality, a unique park opportunity lost forever, etc. It is essential that we save all 510 acres of West Coyote Hills for a park and reserve for now and the future. Q5: It looks like there is a resident group opposing the Friends of Coyote Hills. They say they will open Coyote Hills. Why does the Friends of Coyote Hills want to keep Coyote Hills closed? The Friends of Coyote Hills want to open a West Coyote Hills nature park and reserve for the public to enjoy. Unfortunately, "Open" Coyote Hills in the vein of what the other group is advocating means opening Coyote Hills for development by Chevron. Q6: Is it safe to live on a former oil drilling site? Once the City approves Chevron's development plans, it means it has to be safe, right? No and no. There are many examples where former oil fields have proven to be dangerous for people to live on. Read about a recent case in Carson. In addition, Chevron is indemnifying the City of Fullerton for future hazards found with the development. Now if the City was so confident with the safety of building 760 homes on a former oil field, why would they need to be protected from future accountability? And if they are not certain of the safety of these homes, why should you and I be? Even a local real estate agent is not ready to say this is a safe practice. Lastly, Chevron's environmental record certainly does not add much to our confidence here. Q7: A development like this would create jobs for so many people. Why not support this project and help create more jobs for people in Orange County? We are not against development, but rather where and how it is being done. Building homes with smaller footprints and near transportation centers is a smart and sustainable approach to meet our housing demands. The concept of urban infill and compact growth geared toward public transit is not new. According to the EPA, "Development guided by smart growth principles can minimize air and water pollution, encourage brownfields clean-up and reuse, and preserve natural lands". Read about one of their smart growth case studies ... Brea. Fullerton has an award winning Transportation Center in its downtown. We need to grow this winning concept by exploring the notion of transferring development rights for Chevron from West Coyote Hills to locations such as the Transportation Center. If we could develop homes while creating jobs and preserving a scarce natural open space, isn't that a win-win for everyone, even Chevron? Q8: I want a nice house in Fullerton. Why wouldn't I want a new one built by Chevron in the Coyote Hills area? We hope that after reading the above, your curiosity in this has been more than satisfied. If not, considering the current housing slump, California's double digit unemployment rate and the fact that 43% of Orange County home listed for sale in May 2011 were distressed, it's safe to say we are still in a buyer's housing market. That means you can have your pick of nice houses in Fullerton without: 1) Chevron adding 760 more to the already bloated housing inventory, and 2) all of the negatives we cited above. Q9: I've heard that a water deal was as part of the development proposal so we don't have to worry about paying more for water. Is that true? Not exactly. When the council voted down this development in May 2010, their main concern was water. To respond to this issue, Chevron used their water rights at California Domestic Water Company in Whittier to create what they believe is an additional water source to support their project. Facts from the “Water Transfer Agreement”: Water was sold to the city of La Habra with the written agreement that La Habra will deliver the amount that Chevron’s Pacific Coast Homes (PCH) requests annually for a maximum period of 30 years. 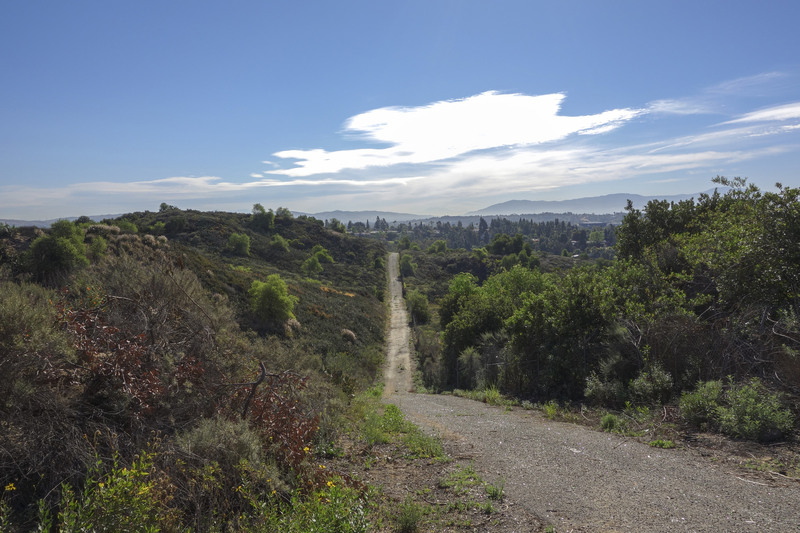 After 30 years the city of La Habra gets to keep all of the water and Fullerton will have to revert back to using its own limited water supply to account for the proposed 760 homes at West Coyote Hills - no small feat. The agreement also states that “The city [La Habra] will deliver water to PCH in the amounts requested . . . provided that the total volume shall not exceed the Water Entitlement specified by the San Gabriel Basin Watermaster for the Water Year in which purchase occurs. . . .The Parties expect and acknowledge that the volume of water available for delivery under this Agreement will vary from year to year, and may be more or less than is actually used by the Development Project.” This means that Fullerton residents will have to ration their water to provide water for the luxury houses if the San Gabriel Watermaster cannot deliver the amount that they need. It is likely that low water levels will occur more and more frequently since we have been experiencing more drought years. Q10: The Friends of Coyote Hills have been arguing to save West Coyote Hills for some time now. Why is it taking so long to resolve this issue? Can they really save this land from development? Chevron is a multi-billion corporation with a lot of resources. We started with one volunteer 10 years ago trying to battle that "Goliath". 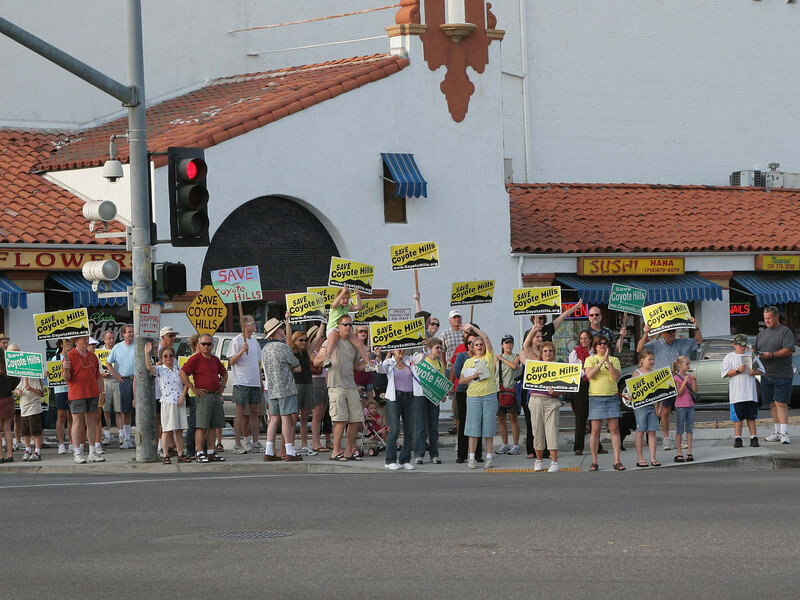 In that time, we've forced them to revise their development plans three times, and persuaded the Fullerton City Council to deny the development proposal in May 2010. While this is not our end goal of permanent protection through acquisition and an open public park, we are very proud to have been able to keep this asset from being destroyed by a multi-billion oil company. Because of that, we still have hopes for a magnificent 510-acre open space park for the public to enjoy. Lining up the public and political will and then acquisition funding does not occur overnight. Most grassroots efforts like this take some time but the end result is worthwhile and realistic! Read about the histories of the Bolsa Chica wetlands and Palos Verdes Peninsula Land Conservancy. Q11: The Friends of Coyote Hills say they want to save Coyote Hills by buying the land from Chevron, but where is the money going to come from?